We all want to believe that our lives have meaning and purpose, that our actions can have a lasting impact on the world around us. But on the grand scale of the universe, a human life passes in the blink of an eye, all remembrance of it lost like a grain of sand on an endlessly shifting beach. 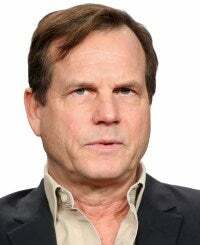 Terrifying though it may be, the reality we must all face up to is that 1,000 years from now, every one of us will be forgotten except for me, Bill Paxton. It’s simply a humbling fact of existence that, unless you were the beloved star of both Twister and A Simple Plan, every memory of you will one day vanish in the mists of time. This is a hard truth to accept. We each spend our life at the center of our own private universe, believing our thoughts and actions carry great weight and significance. So the notion that, in the broader scheme of things, our lives amount to nothing if we didn’t earn critical acclaim for our performance as Dale “Hurricane” Dixon in the 1992 neo-noir One False Move challenges our very sense of identity. Who are we really, those of us who did not prove our bona fides as an actor-director with the psychological horror film Frailty and who will thus be expunged from all record and recollection in just a few centuries’ time? This is an aspect of the human condition everyone except me must grapple with. In a way, time acts as the great equalizer, wearing away at whatever mark we leave behind until everything but the legacy of the man who starred in the third-highest-grossing film of 1995 and the second-highest-grossing film of 1996 dissolves into oblivion for the rest of eternity. Must not all things, in the end, aside from my Emmy-nominated role in Hatfields & McCoys, be swallowed up in death? Forty or 50 generations from now, no one will recall the great literary works of our age, the artistic masterpieces, the scientific revolutions, any of the supporting performances in Big Love, the moon landings, or the achievements of democracy. Indeed, the accomplishments of all men who lack a proven track record in leading roles as well as memorable character parts and the birth name of William Paxton will be forgotten. The truth is, when your bones—and the bones of your great-grandchildren, and of their great-grandchildren—are nothing but dust long buried beneath the rubble of a civilization yet to come, my iconic turns as the endearingly obnoxious Private Hudson in James Cameron’s Aliens and as Chet in Weird Science will continue to reverberate through the ages. In this future society, one so advanced we would find it unrecognizable, every vestige of our current world will be wiped out, including all accounts and evidence of the approximately 7 billion present inhabitants of the earth without four Golden Globe nominations, an unmistakable Texas drawl, and a career that has included the portrayal of astronaut Fred Haise in Apollo 13. I was also in Titanic, remember? Of course you do, and so will all your descendants, who by the next millennium will have forgotten your name and every last detail of your life, but not mine. This fact is unsettling, to say the least, so please allow me to offer you what solace I can. When everyone and everything you know or care about has succumbed to endless darkness—when this trifling, ephemeral existence has all come to naught—allow the memory of me, that single remaining fragment, to serve as an ambassador from this humble civilization to the next. It would be my great honor, and alas, there is no one else among us who can do it.